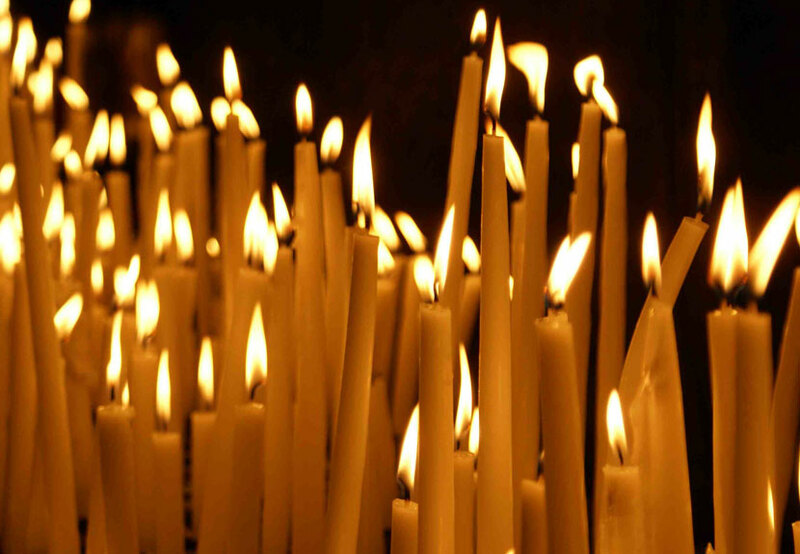 The Clergy, Executive Board, and Members of St. Sava Serbian Orthodox Church express condolences to the family of Mary Cox. Memory eternal. Mary Ann “Baba” Cox, 86, resident of Naples, FL, for over twenty years, previously from Crown Point, IN, passed away on Friday, July 8, 2016. Mary Ann was born in Centenary, IN. Preceded in death by her parents, Dan and Mildred Latinovich; and her husband of 44 years, Vernon W. Cox. She is survived by her daughters, Kimberley (William) Slepcevich of Naples, FL, and Tammie (Mark) Muhinski, of Chesterfield, MO; grandchildren: William and Evan Slepcevich, and Zachary, Paige, and Lauren Mushinski. Funeral Services will take place on Wednesday, July 13, 2016, at 11:00 a.m., with visitation starting at 10:00 a.m., at St. Paul Antiochian Orthodox Church, 2425 Rivers Rd, Naples, FL, 34120, with V. Rev. Jovan Todorovich and V. Rev. Joseph Shaheen officiating. Interment at Naples Memorial Gardens. In lieu of flowers, contributions in her memory may be made to St. Sava Serbian Orthodox Church, 9191 Mississippi St, Merrillville, IN, 46410.